Dear old Harold. Not only did he have a blue tooth, but he was really good at unifying and connecting places – such as Norway and Denmark, where he ruled for many years. 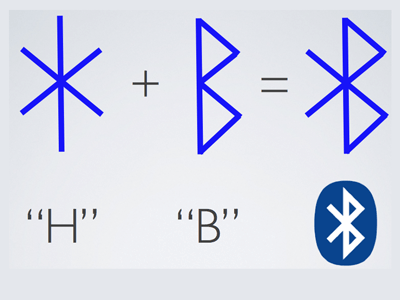 And this is why Bluetooth is called Bluetooth today: all because of good ol’ Harold and his incredible social skills. Ragnar is our choice because he has a great name. Also known as Ragnar Lodbrok or Ragnar Hairybreeches, it is likely this Viking ruler wore pants made out of fur. Either this or he was extraordinarily hairy. 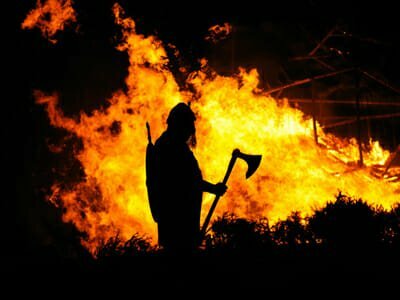 The sagas say Ragnar Lodbrok may have worn those renowned breeches as protection from the venomous serpents he battled to court his second wife, Swedish princess Thora. Fathered a lot of sons – so many so that historians dispute whether he actually existed or was several different people. 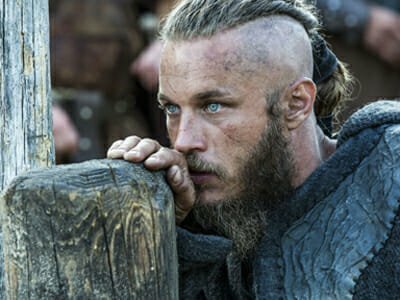 Australian actor Travis Fimmel plays a Ragnor in ‘Vikings’ – although his character is only very loosely based on the real Ragnar. And no hairy pants. Our fearsome Viking lady. 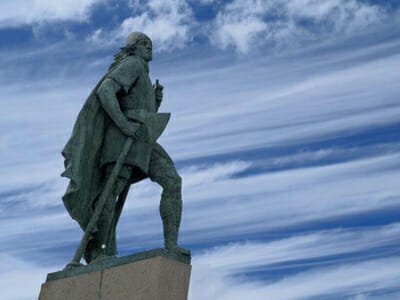 Freydis was the daughter of Erik the Red (of America fame), married to a spineless man called Thorvard, she joined him on expeditions around the world. 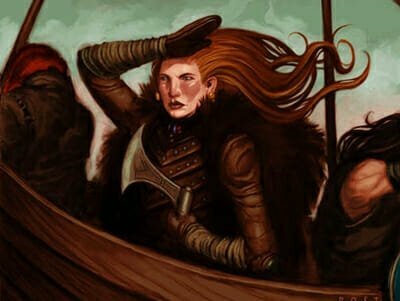 One time, Thorvard left her behind in Vinland (North America), fought the natives on her own whilst pregnant, became a farmer, gave birth to her son – until Thorvard came back for her, eventually. She joined Thorvard on several more expeditions, also taking part in battles. Later on she became a bit too brutal for her own good and was feared amongst other Vikings for slaying men and women regardless. She also invented the sleeping bag (apparently). Not much is known of this Viking, other than he probably had a bit of a bad hair do. 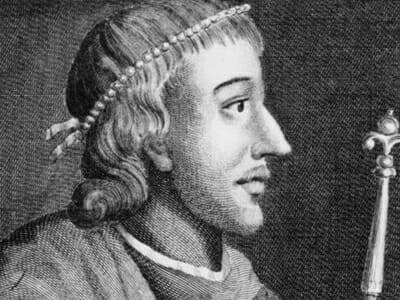 Son of Erik (see below), brother of Freydis (see above), Leif was the one to discover North America nearly 500 years beforeColumbus. For that alone, he is on our list. Most likely born in Iceland. 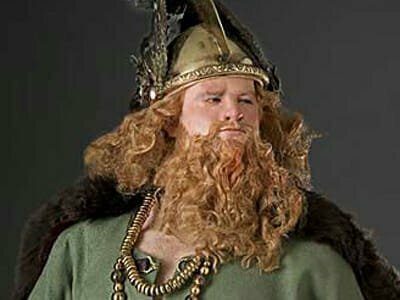 Our favourite ginger of all and founder of Norse settlement on Greenland (after he was thrown out of Iceland for murdering a few locals). A master of marketing, he deliberately named Greenland to be more appealing to other potential settlers (having seen what Iceland had done to itself by not naming their island ‘valleys of green and warm earth showers’). Father of Leif and Freydis. Actually, his real name was Eysteinn Hálfdansson, but in one of the sagas, he’s named as Eysteinn Fart. Why? We guess he had a bit of a flatulence problem. He was Norwegian, and in Norwegian he is known as Eysteinn Fjert, meaning fart. Lived 720-768 where he was blown off his ship by a ‘gust of wind’. This lady was rather awesome. 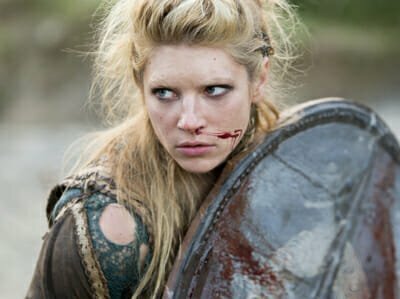 Wife of the man with the hairy pants, Lagertha was a Viking shieldmaiden from Norway. Her name most likely came from Hlaðgerðr. Ragnar dumped Lagertha to marry a Swedish princess, but when he got into trouble in battle, Lagertha still came to his aid bringing 120 ships for him. The character in Vikings is loosely based on her. 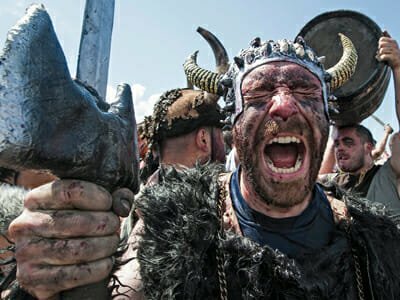 The 10th-century Earl of Orkney, this fearsome named Viking was born on Orkney. The mother of his five sons was Grelad, a daughter of “Earl Dungad of Caithness” and Groa, herself a daughter of Thorstein the Red. Thorfinn died a very old man and is buried in Hoxa. 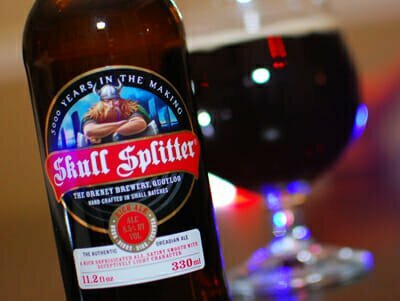 The modern Orcadian beer Skull Splitter is named after him. Cnut the Great (Old Norse: Knútr inn ríki) born c. 995, more commonly known as Canute. King of Denmark, England, Norway, and ‘some Swedes’. 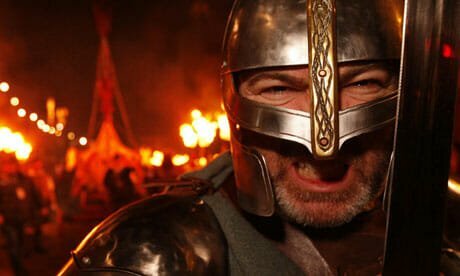 Son of the infamous Sweyn Forkbeard, his grandfather was Harold Bluetooth, so he was from good Viking stock. Often had to be careful when spelling his own name. Cnut is often described as being exceptionally handsome ‘except for his nose’. Cnut was buried at Winchester Cathedral, where some remains are in chests above the choir.